Good question. I guess you could say my competitive career is over. However competitive you consider Junior C hockey to be. Regardless, it’s over. All I have left in front of me is a future of playing hockey with washed up, wannabe hockey players like myself in the beer leagues. I’ve read cheesy Player’s Tribune articles about how hockey gives back whatever you put into it. While that seems intuitively true to me, I don’t really know what that means. I’ve only ever wanted to be a hockey player. I never wanted to become a journalist. I’m not good at math – or anything useful – but I know an absurd amount about sports, so I figured I would try to become a sports journalist to stay close to the game. I would much rather be off playing the game I love every single day, but I was not talented enough to ever pursue that dream. I love the game of hockey; like many Canadian kids, I dreamt of lifting the Stanley Cup after scoring the winning goal in game seven overtime. Clichés aside, I had and still have a burning passion for the game of hockey. I love playing it. I love the rush of wind you get when you skate down the ice – albeit, in my case, not very well. I love the sound of skates digging into cold, hard, ice, and I love that feeling of scoring a goal. I remember scoring my first ever goal. It was the only goal in a miserable 12-1 loss. Yup, I know more about losing than I do anything else. I came down my off the wing and fired off the hard wrist shot I perfected while putting dents in my garage door. It went past the goalie’s blocker – but I don’t even think I celebrated because, well, we were down 12-1. I got into hockey in a different way than most kids. 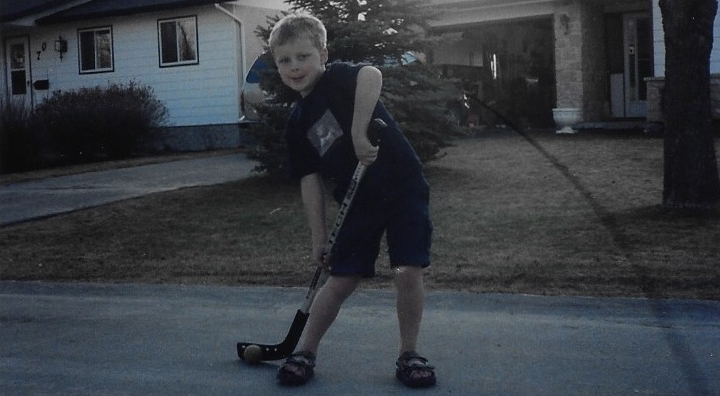 I wasn’t thrust into Timbits at age five, progressing through the minor hockey ranks from there. I found the game on my own. I don’t even remember the first hockey game I ever watched, or what even ignited my passion for the game. I remember playing the game at school, in the courtyards of Calvin Christian School, a stone’s throw from the high school where I could never crack the hockey team. I remember reading a Hockey Superstars 2002-2003 book and taking a liking to Ryan Smyth, who was then playing for the Edmonton Oilers, a team that has probably cut years off my life due to my following them. I remember flipping through the pages and always gravitating to Smyth, wanting to know everything I could about him. He had the same birthday as my dad, as well as my name. That was enough for six-year-old Ryan: I was hooked. I used to play every second Saturday at the East End Arena in Transcona. A rink that played out the end of my minor hockey career with the River East Marauders in heart-breaking fashion. A year later, my dad started a group at my school to play hockey at Gateway Community Centre on Saturday mornings. The first half hour was drills: one side did skating for 15 minutes, the other side did puck drills. I always hung around to do puck drills for the full half hour. My dad later told me I should be doing the opposite, probably because he was sick of his son looking like a punch-drunk moose out on the ice. The other half hour was a scrimmage, where I really got to shine. As I mentioned previously, I spent hours practicing my wrist shot, and spent even more watching games with my dad, so playing in a game was heaven. I got so good at shooting, I became known for my goal scoring prowess rather than my skating ability. I loved all forms of hockey: street hockey, floor hockey, rug hockey; if there were a stick and a ball or puck, I was in. I didn’t get into competitive hockey until much later in life. I started playing in minor bantam, playing A3, the lowest level of hockey you can play. I had a funny minor hockey career, bouncing around to different levels, and succeeding – somewhat – at each one. Some of my best hockey moments have come from off the ice in moments with my teammates, where we would exchange stories in the locker room and throw out our best chirps. 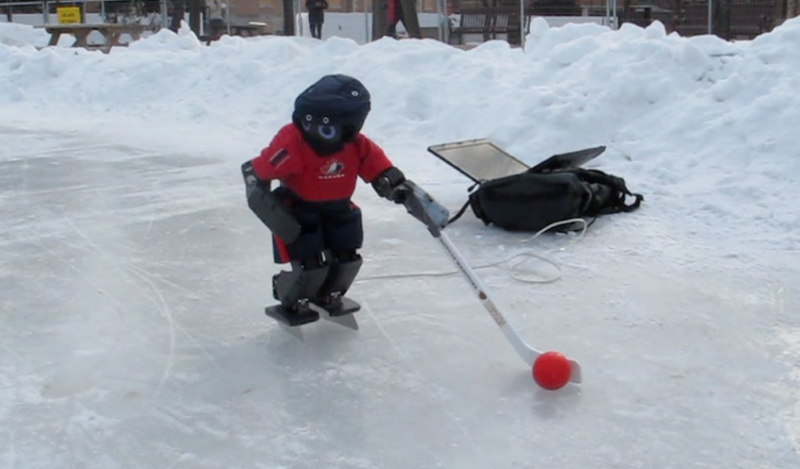 Get ready for a huge cliché, but hockey is really so much more than a game. Hockey is those days you spend with your brother and dad on a backyard rink. Hockey is that elation you feel after scoring a big goal for your team and being in the centre of that group hug. Hockey is the thing that will wake you up in the morning, or keep you up at night. Hockey is crashing down to rock bottom, but coming back even stronger the next night. Hockey is not everything I expected, but it is the most beautiful thing I have ever come to know. I want to thank the coaches I have met in my playing days, for teaching me life lessons and helping me understand different aspects of the game. I’d like to thank every coach that has told me “no” or has let me go, because you’ve made me a stronger person. I’d like to thank my dad for showing me everything about the game, and my brother for begrudgingly putting on the pads so I could practice on him. Lastly, I would like to thank the academy, for this award. Jokes aside, I will miss the hell out of you, hockey.